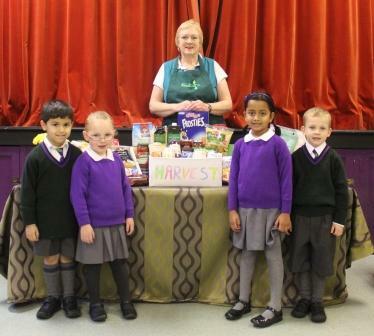 The children at Billinge House welcomed Mrs Christine Walker from the Blackburn Foodbank to a special assembly in aid of Harvest. Mrs Horner also joined them for the event and both her and Mrs Walker enjoyed hearing the children sing lovely Harvest songs. 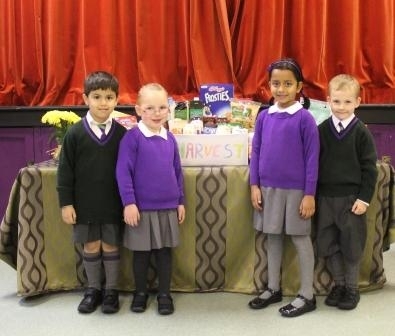 Mrs Walker was amazed at the vast amount of food that the children had been collecting in the lead up to her visit. She explained about the good work that takes place at the Foodbank and how they had helped over four thousand local people since they opened last year. She was very pleased that all of the children’s donations would be able to help even more people. 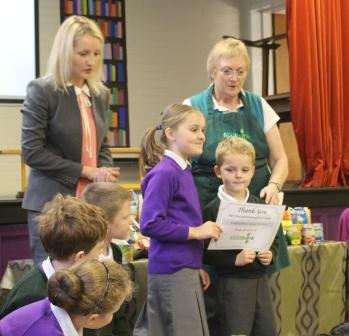 Before leaving, she presented the School with a certificate to say a big thank you to everyone for their wonderful food donations.